The Apple Watch has been long anticipated but folks seem to look at it like they looked at the iPhone and iPad, they no longer remember the more similar iPod and how painful its first years were. In addition, the use case for the watch hasn’t really been fleshed out yet and watches, in general, have been in sharp decline particularly with younger buyers. While there is no doubt initial volumes will sell out, the big danger though is that early adopters could look stupid using the device and we haven’t really had that problem in a product like this in some time. One of the things I don’t think most people get is that the Apple Watch is more like the first iPod then it is the iPhone, or iPad. The first iPod did set sales records the first Christmas that it was in market but what wasn’t widely publicized at the time was it also set records on returns the following January. This was because a huge number of people bought them for gifts not realizing they only worked with Apple PCs at the time and folks that used Windows had to return them. This was addressed the following year by Music Match who made an iPod product for Windows and eventually Apple put Music Match out of business when they migrated iTunes to Windows themselves and the rest is history. But that didn’t really jell until version 3. It was a very slow ramp because while Apple fans bought them, it took a few years (about three) for the broad market to accept the price points and figure out how to use the devices. And the iPod was a vastly easier product to learn and use than the iPod was. But the iPod didn’t take off until it worked with Windows and it is likely the Apple Watch will be crippled until it works with at least Android for much the same reason. We saw this with Google Glass, while people tended to buy the product for status, in use they often looked like idiots. The use case for the product hadn’t been fully fleshed out and the end result was it was made fun of on comedy shows, and people using the product were called ‘Glassholes’, or worse. This looking stupid thing is a serious problem if you are selling a jewelry-like product because people tend to buy products in this class to enhance their status and that won’t happen if the rest of us think they look stupid. Let’s walk through the use cases. You are in a noisy room and a call comes in. You are screaming into your watch and then holding the watch up to your ear to hear the response. Try that. Left wrist left ear, OK that looks dorky, left wrist right ear, ok that’s worse. 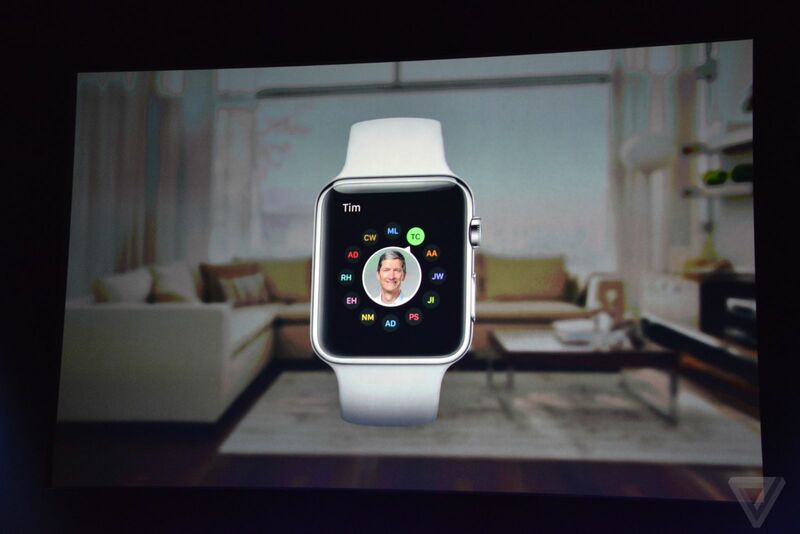 So you are alternating yelling at your watch and trying to find an ear that works with it. Suggestion, just get a Bluetooth headset and disable that feature in the phone. But then that’s one of the watches primary functions. actually seen people do this they forget that they have coffee in hand and someone asks them the time and they end up dumping the coffee on their lap. In this case you’d dump it on the TSA or gate attendant and not only wouldn’t they be amused, but you’re likely to get a big laugh and the folks won’t be laughing with you. This is likely to happen when you are tired or distracted. I suggest you practice this a lot before you actually do it at an Airport. Starting at $350 and going to a whopping $10K for something that will become obsolete in a year and is an accessory is really gutsy. I mean if you buy a $10K Rolex you kind of expect it to outlast you, a $10K watch that’ll likely only be worth what the gold is worth in 24 months is something maybe a certain kind of rock star or celebrity could maybe justify but the rest of us will have issues. I think this speaks to the fact that the Apple Watch, like the iPod and really even the iPhone, will need a few versions to find its market—likely three versions. But the interim risk is a lot of the early adopters my look stupid using it which could actually kill the entire segment because, unlike the iPod, this thing and the mistakes they’ll make with it will be really visible. I can’t wait to see the Saturday Night Live sketch. Of course, the really famous skit was the iPad Mad TV skit and that product survived that. So I think the Apple Watch will make it, it’ll just take a few years to get the product ready for those that’ll use it and get trained to use it so we don’t embarrass ourselves.